By definition, all clogs are wooden clogs. However, you have probably already noticed that this leaves a lot of room for variety. Whether you want a traditional looking clog or something sleek and modern, you can find a wooden clog to match your style, taste, and needs. And just because a clog has wooden parts does not mean that it must be all or even mostly wooden. Traditionally, clogs come in three different forms. There is the all wooden clog, where the entire shoe is made from wood. There’s the wooden sole that straps onto the bottom of another shoe. And there’s the shoe with wood in the sole. Today, the first two shoes are pretty much obsolete, but the last one is still widely worn today. When you go to the store or shop for clogs online, these are the type of shoe that you will be looking at. Time has shown that these shoes are for more practical and long lasting than any of the other types of clogs. They’re also a lot more comfortable. If you’re looking for a pair of clogs perfect for you and your lifestyle, odds are you can find them. 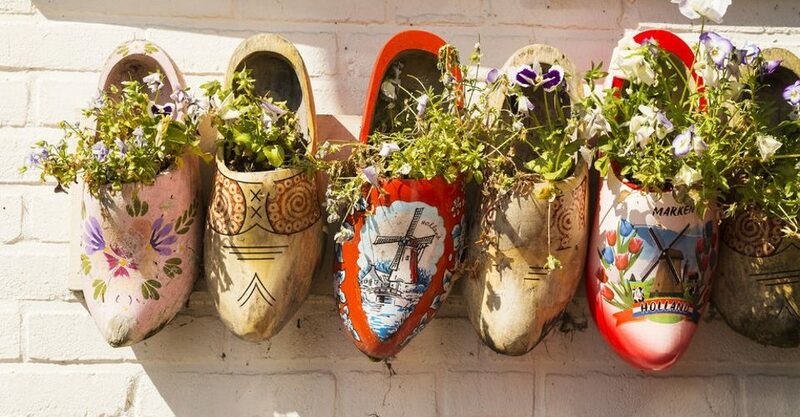 There are many different varieties of clogs out there, and yes, many of them still have all wood for their sole. If you spend a lot of time on your feet and you are worried about slipping, you can even find a clog with all or partial rubber sole. Clogs can be conservative and formal in appearance, or they can be casual and unique. Do you want a pair of wooden clogs? They are extremely comfortable and always in style. If you have more questions about which pair of clogs is the best pair for you, feel free to browse around the rest of our site.